If you’re getting rid of an old household item and think it should be thrown away immediately, think again. Repurposing old furniture often saves time and money. The same is true for items like kitchen cabinets. Did you know you can actually repurpose old kitchen cabinets into useful objects, from a shoe storage bench, to a cabinet dart board, to a wine rack. With these 10 out-of-the-box repurposing ideas, you can turn your old kitchen cabinets into something spectacular. Turn your old kitchen cabinets into a shoe storage bench that you can place near the front or back door. Or put it in your bedroom to hold all of your shoes. This repurposing project should only take about an hour, according to Pretty Handy Girl. If you love the game of darts, you can make a cool dartboard cabinet to put up in your garage or game room. 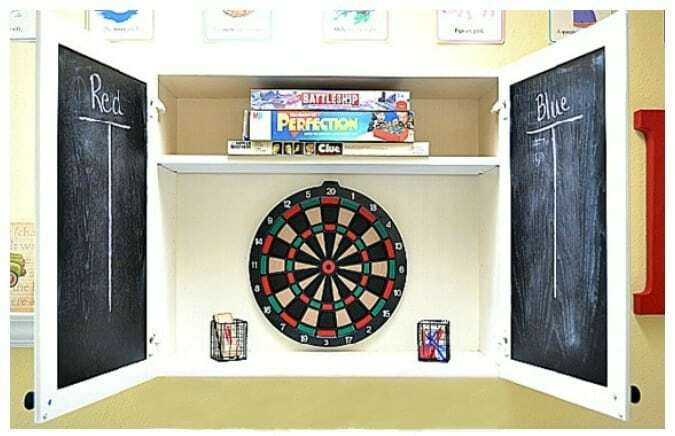 To make a dartboard cabinet that contains the dartboard, all game accessories, and even a place to keep score, check out this DIY tutorial from At the Picket Fence. Need a new place for your craft work? 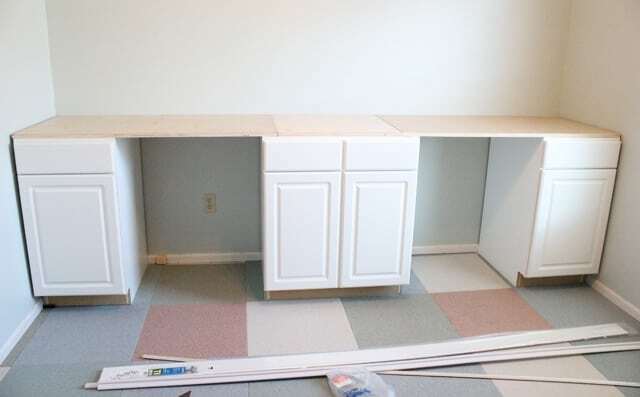 You can turn old kitchen cabinets into a nifty craft desk to place in your den, office, or garage. For a step-by-step tutorial on creating this DIY project, visit How to Nest for Less. To create a functional kitchen island out of old lower kitchen cabinets, check out this amazing repurposing project from Instructables. 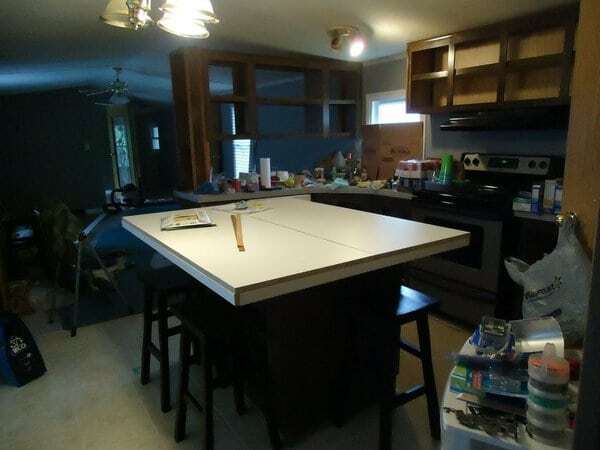 When the project is done, add a few bar stools, and you have a new eating area or a place to spread out while cooking meals. 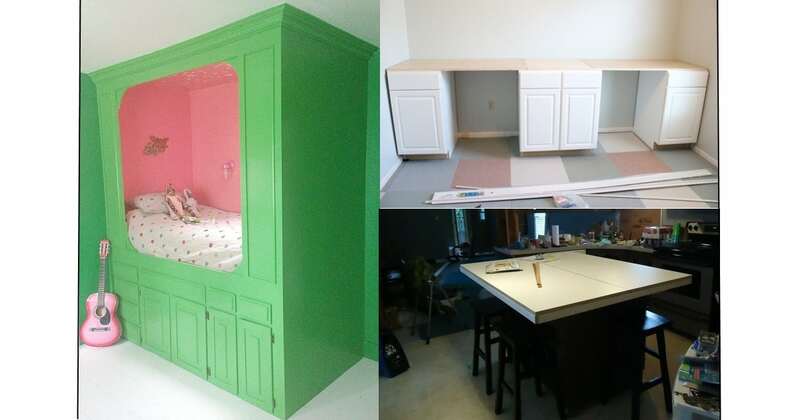 Turn an old kitchen cabinet unit into a DIY bunk bed! 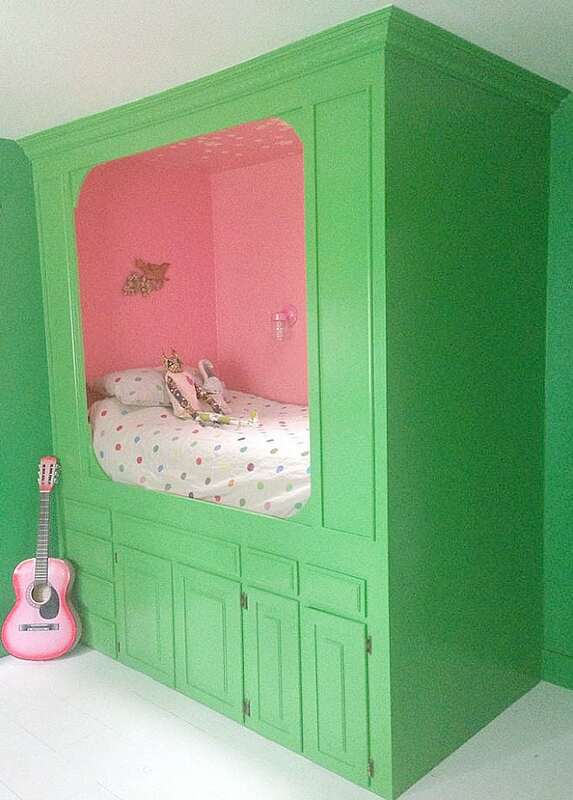 This creative repurposing idea provides both a sleeping area and plenty of storage in your child’s bedroom. Check out the DIY instructions for this amazing project at Hometalk. If you’re a wine lover and need some extra storage for your wine bottles, turn your old kitchen cabinet into a wine rack. 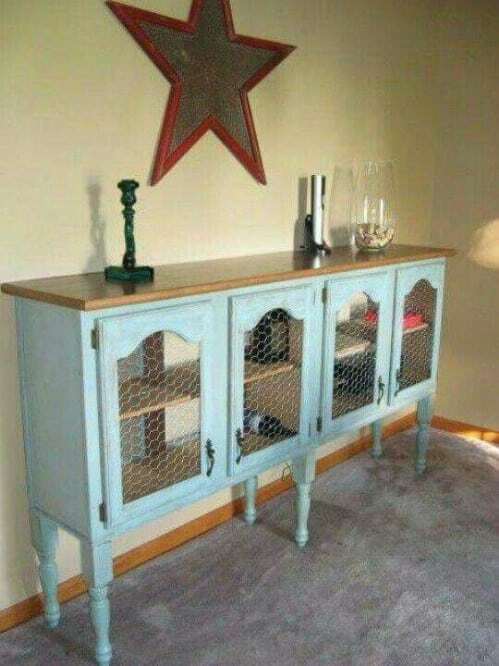 You’ll need some chicken wire to put on the cabinet doors, some furniture legs to attach to the bottom of the cabinet, and a few tools to create this repurposing project. 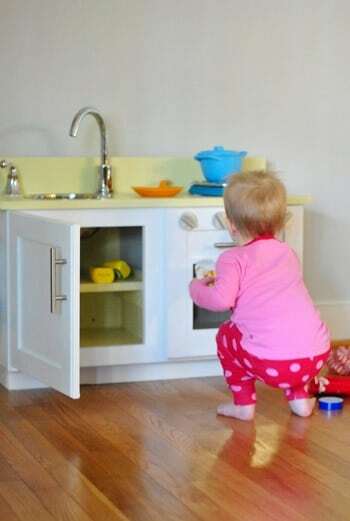 Instead of throwing away your old kitchen cabinets, turn them into fun play kitchen set for your child. Or, you could even create a kid’s workshop with the cabinets. Think of how excited your child will be when you unveil this genius repurposing project! For more instructions on how to make a kid’s play kitchen with old cabinets, visit Young House Love. 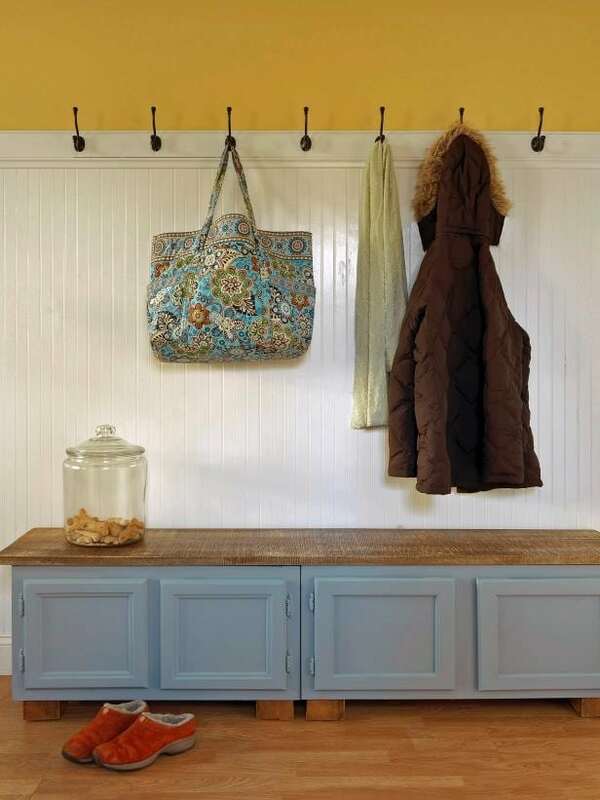 To make your own adorable mudroom bench out of old kitchen wall cabinets meant to go above a refrigerator, follow these instructions from DIY Network. It’ll make for a comfortable bench, as well as provide plenty of storage. 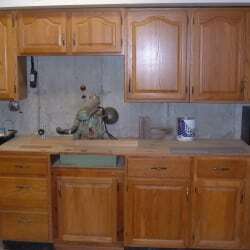 This useful repurposing project allows you to turn old kitchen cabinets into a functional storage area in your garage. You can store tools, cleaning supplies, painting supplies, and other household goods in one central location. Check out Den Garden for a detailed guide on how to create your own garage storage unit out of old cabinets. 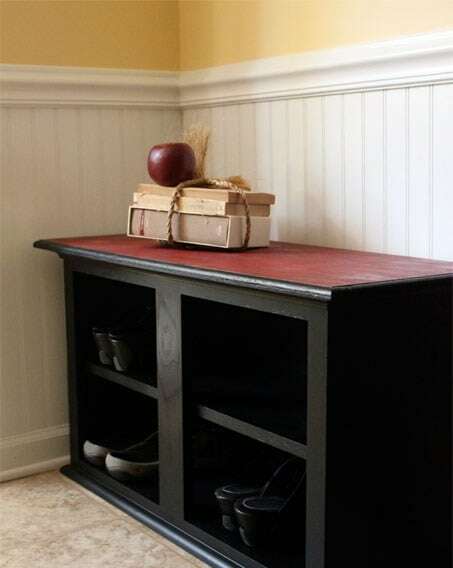 Turn old kitchen cabinets into a hallway or entryway console table. This DIY project results in a handy area to store knickknacks, including keys, mail, umbrellas, and other important items you frequently use. My Fabuless Life explains this hack here. 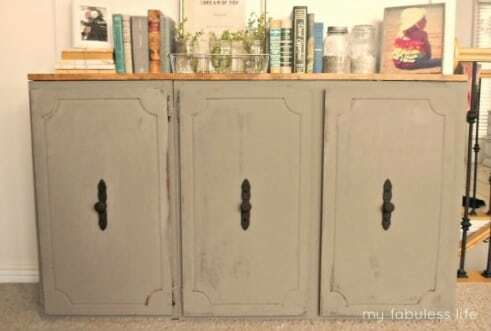 There are so many awesome DIY ideas you can start today to repurpose your old kitchen cabinets. From creating a kitchen playset for your child to building a craft desk for a place to do your hobbies, you’ll never want to throw away old kitchen materials again.